1. KEEP CHILDREN & PETS OFF DAMP CARPET & FABRICS. NO SKIN CONTACT WITH WET FIBER & FABRIC. Strictly precautionary and for your protection, please do not let children or pets on damp carpets or fabrics. Do not walk barefoot or in socks, or touch wet carpet or fabrics. 24 hours recommended. Use booties or clean soled shoes to walk on damp carpet. Soiled shoes , bare feet or socks will re-soil damp carpet very easily. 2. DETERGENTS, PROTECTANTS, SANITIZERS AND OTHER CLEANING PRODUCTS. Please be aware that proper cleaning agents and products are being used to clean in accordance with cleaning standards and specifications. Most are similar to what you wash clothes or dishes with. Again, because it is precautionary, it is always best to stay off of damp surfaces. Cleaner advises sensitivities are rare, but it is best to avoid dermal contact of any kind. 24 hours. Common sense applies. · Use Ceiling Fans or Portable Fans Whenever Possible– air flow, air flow, air flow! Just like clothes drying on the line, it takes a bit, and not everything may come out, fingers crossed – you are in great hands! 4. What happens if my carpet ripples? Sometimes carpets will ripple, usually shortly after the technician leaves—mostly with older carpet or improperly installed carpet (was not power stretched or brought to warm temp before installing. ) SIT TIGHT, RIPPLED CARPET SETTLES COMPLETELY BACK DOWN ABOUT 99% OF THE TIME WHEN IT DRYS (24 HRS). Rarely it may need to be tightened. Improper installation causes rippling. Your tech cannot predict when rippling will occur. And, according to IICRC Standards & because of too many unforeseen reasons not determined before the cleaning, your cleaner will not be responsible for repairs of rippled carpet. Rippling occurs in less than 10% of cleanings, and only about 1% of the time requires a repair. 6. Why Does My Carpet get Dirty right after cleaning? If you walk on wet carpet with street shoes it may re-soil. Wear inside shoes. Make a habit of removing shoes before you come inside, or have inside shoes handy . Begin using mats at points of entry (clean them regularly). 7. When Should I Vacuum? 48 Hours– NOT BEFORE! (will remove protectant & coatings) Expect to hear sand & debris in vacuum. Unfortunately sometimes cleaning, which removes soils & dirt can reveal evidence of damage due to sun exposure, as well as partial or total color loss from previously used spot cleaners. Spot cleaners can react over time, so even if the spot wasn’t evident while the dirt was still there, it is revealed now that the dirt is removed. 8. Did you get All the Stains OUt? If you were available before I clean I would have pointed out areas of concern. Some spills, especially: coffee, red based spills & biological spills, rust, nail polish, hair dye, mustard, paint, may be permanent– period. Age, heat, how deep it is, its acidity & dyes affect success. You can set these stains trying to clean them yourself, the more stuff you use you run a bigger risk of setting them permanently. Some spills (ink , blood) become trapped underneath & can “wick” back after cleaning. If you were available after I cleaned I would have explained what I did. Chances are if a spot is still there I have already tried several different things and it may not get any better. While I remove a lot, some things are just beyond cleaning. Please refer to cleaning notes on your invoice which also may explain. what we did and what, if anything else could be done. Permanent usually means just that. . .
9. Why Do Some Stains Come Back After The Carpet Dries or Soon After Cleaning? Some really dirty carpets have so much dirt at the carpet base & under it, it eventually will evaporate up & “wick “ the deeper dirt back to the tip. (take a handful of dry dirt, add water, and you make mud. Till you rinse it all out it will re-infect the carpet ). There’s only so much we can do. Some stains “appear” to come out when they are in fact disguised during the wet stage, but immediately return when it dries. One trick to tell if further cleaning will work: Take a white towel, wet with water & blot the section that appears dirty. If the dirt transfers to the towel, then a touch up cleaning will help. If not, then they are stains, they are permanent and won’t come out. 10. Why Is There Some Odors I Still Smell? Odor gets stronger after cleaning, especially: (urine, skin-hair & body oils, other biological odors, general odors and damp wool carpet) Why? because humidity intensifies them and we smell more. It will dissipate & should go away. It can even take a week. Some odor needs more invasive procedures at additional cost to the client. Some hidden spills may get “set off” & suddenly infect the air. Cleaner may not be able to forecast this. —Procedures may be extra cost to client. Cleaner not responsible if client refuses to accept invasive procedures and extra costs necessary to eradicate odor. 11. 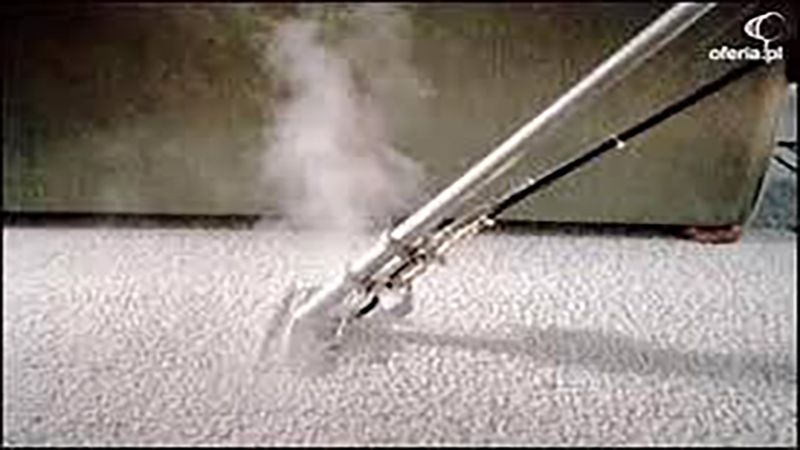 Odors and Allergies– Some cleaning projects are conducted to restore a carpet or fabric. Technician will use proper formulations and procedures as recognized by industry standards. Tech cannot be responsible for varying sensitivities, and guarantee in absolute complete removal. I am aware of these instructions and will do what I can to help the drying and safeguard the carpet so it looks as good as when it was first cleaned. I understand that once in a while more aggressive cleaning can affect my cleaning & drying time. My Technician has done everything possible to get my carpets clean & dry. They’ll also explain any permanent stains, damage or potential concerns to me as they walk thru with me after they are done. If need be, if I see residual issues I can call, and they will return to re-clean for free, or if the tech explains, no additional cleaning will help- they will advise me.